Air Force stakes future on privately funded launch vehicles. Will the gamble pay off? Analyst Bill Ostrove: Vulcan’s first flight has slipped from 2019 to 2020. "The engine choice will affect the design of the entire rocket." WASHINGTON — The schedule is getting tight for the U.S. Air Force as a 2022 deadline looms to bid farewell to the Atlas 5 and switch to a different rocket that is not powered by a Russian engine. The target date was mutually agreed by Congress and the Air Force in 2016, allowing what was considered sufficient time to find alternatives to the United Launch Alliance’s Atlas 5 that uses the Russian RD-180 engine. The solution they settled on was for the Air Force to sign deals with the space industry to co-finance the development of new rocket propulsion systems. The program known as the Launch Service Agreement (LSA) fits the Air Force’s broader goal to get out of the business of “buying rockets” and instead acquire end-to-end services from companies. The next step is to select three companies this summer to move forward with launch system prototypes. “We are on schedule to make LSA awards in July 2018,” a spokesman for the Air Force Space and Missile Systems Center told SpaceNews. The selected competitors will face a schedule that seems ambitious even by the standards of commercial space companies. ULA’s CEO Tory Bruno called the Launch Service Agreement a “pretty rational” approach that puts the onus on the private sector. 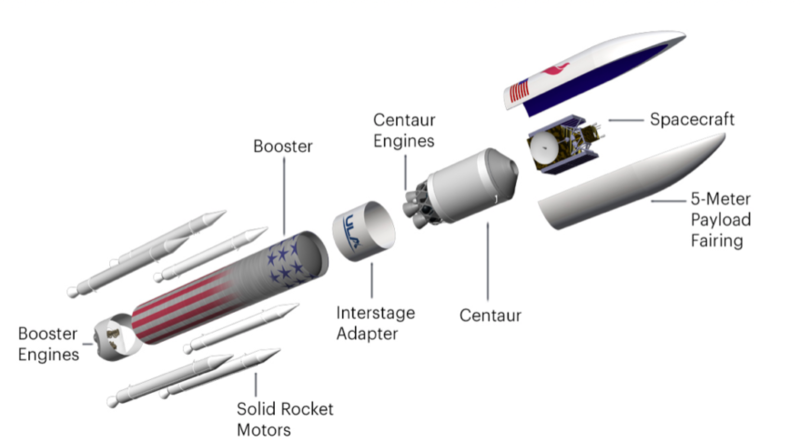 As the operator of the Atlas 5 rocket, ULA will come under enormous scrutiny as it moves to develop its replacement, the Vulcan Centaur vehicle. Although the Atlas 5 will continue to be sold commercially, without the ability to offer Atlas 5 to the military after 2022, the future of ULA rests on Vulcan. Asked about the implications of the delayed engine selection on the LSA program, the Air Force Space and Missile Systems Center spokesman said officials would not comment on an ongoing source selection. Vulcan Centaur is 75 percent privately funded, Bruno said. To remain a contender in the LSA program, it needs to be ready for certification flights by 2020. ULA has agreed to two non-government flights to certify Vulcan for national security missions. The certification could happen as early as 2020 or early 2021. “We feel very confident about our schedule and our plan to achieve that whole timeline,” he said. The engine choice has kept the industry in suspense. Some companies in the LSA program are partners and rivals at the same time. Orbital ATK will compete with its own rocket but it also has invested in the development of the Vulcan solid rocket booster. There is speculation that Blue Origin could also jump into the LSA fray with its New Glenn rocket. “Having a competitor in my supply chain … Absolutely that is considered carefully,” said Bruno. “That is not unusual in our industry.” Orbital ATK is not only a competitor and major supplier to ULA but also a ULA customer for cargo missions to the International Space Station. Blue Origin is investing a “considerable amount,” he said. “To a lesser degree Aerojet Rocketdyne is investing their own funding in AR-1.” The engines are the most expensive parts of the rocket, accounting for two-thirds of the cost of the booster. Vulcan’s first flight has slipped from 2019 to 2020, said Ostrove. “The engine choice will affect the design of the entire rocket. A decision has to be made if the Air Force is going to stick to the plan” of phasing out the Atlas 5 by 2022. The delay could be adding risk to the Air Force LSA strategy, Ostrove said. For the program to succeed, launch contractors need to have both government and commercial business. “If there is no market for these large launch vehicles then the Air Force may have to step in and provide more funds.” That is exactly what the Air Force had to do more than a decade ago with Atlas 5 and Delta 4, which were originally intended as dual use. A contrarian view comes from the defense industry establishment. Loren Thompson, of the Lexington Institute — a think tank that receives funding from ULA owners Boeing and Lockheed Martin, Aerojet and other defense firms — has called on the Air Force to keep the Atlas 5 and swap the RD-180 engine for Aerojet Rocketdyne’s AR-1 rather than develop a new launch vehicle. Air Force Secretary Heather Wilson has expressed confidence in the LSA approach.